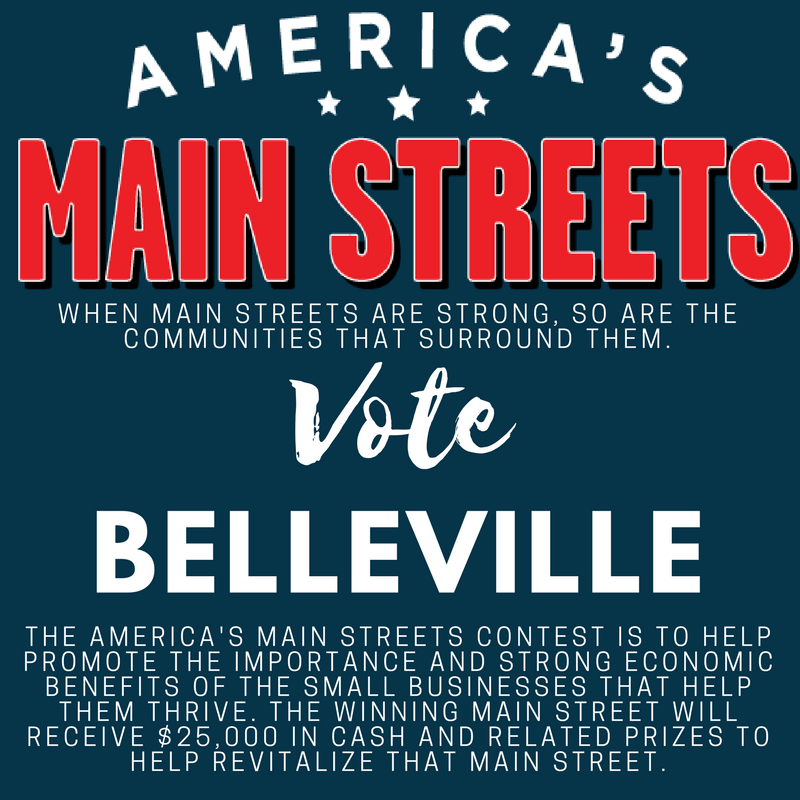 The national small business movement, Independent We Stand, announces the quarterfinalists, including Belleville Main Street, in the 2018 “America’s Main Streets” contest. As the lifeblood of our cities and towns, Main Streets play an important role in the long-term success of communities and help build a sense of place. Independent We Stand invites the public to vote for their favorite quarterfinalist and move a deserving Main Street one step closer to the grand prize of $25,000. Belleville Main Street, Belleville, Ill.
Benicia Main Street, Benicia, Calif. Downtown Great Falls, Great Falls, Mont. Downtown Tupelo Main Street, Tupelo, Miss. East Troy, WI, East Troy, Wis.
Edenton, North Carolina, Edenton, N.C.
Main Street Covington, Covington, Ga.
Main Street Hayward, Hayward, Wis.
Market Street Mt. Carmel, Mount Carmel, Ill.
New London, New London, Minn.
Semifinalist voting runs now at MainStreetContest.com through May 27. The top 10 semifinalists will be announced May 28. The winner of the 2018 “America’s Main Streets” contest will be announced June 4 followed by a “Main Streets Make Us Better” celebration on the Fourth of July, when the winner will announce how the prize money will be utilized. For more information on Belleville Main Street, visit: www.BellevilleMainStreet.net or like us on FaceBook! To vote for “America’s Main Streets” semifinalists, visit MainStreetContest.com. You can also follow Belleville Main Street’s Facebook event to get daily reminders here.